CREW San Antonio - Upcoming Events! Check out what's coming up with CREW San Antonio! UTSA + CREW Community Project This Friday! 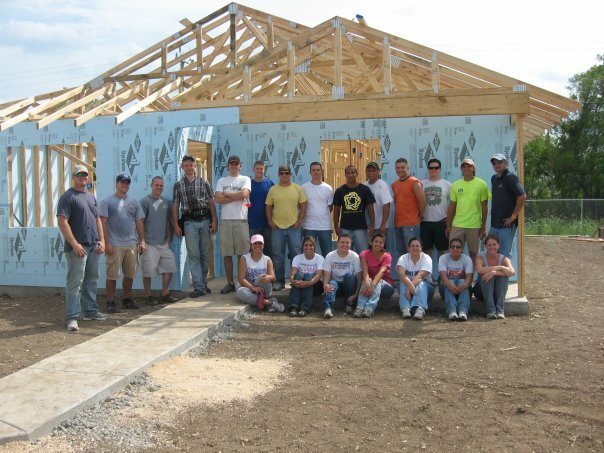 CREW San Antonio is teaming up with UTSA REFD students for a Habitat for Humanity volunteer project! Come out and help build-up our great community! No experience necessary. 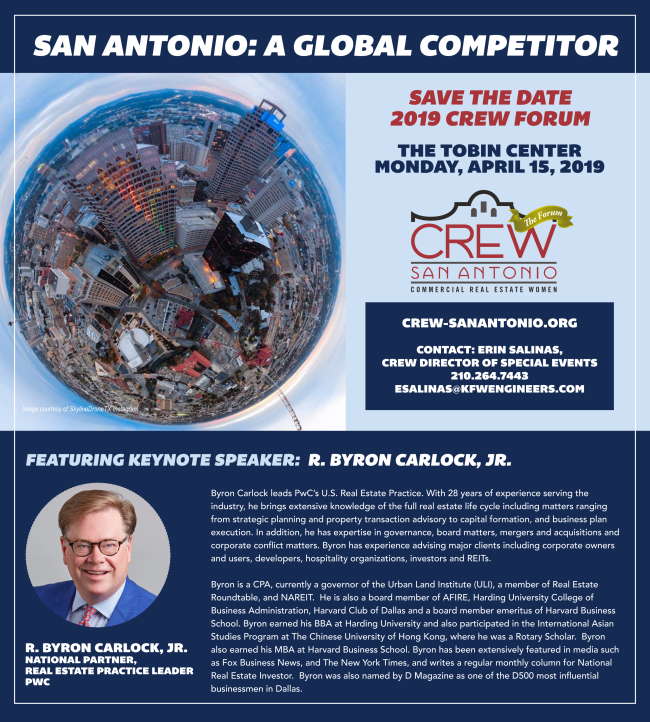 CREW Forum is 3 Weeks Away! New to CREW? Looking to Get Involved? 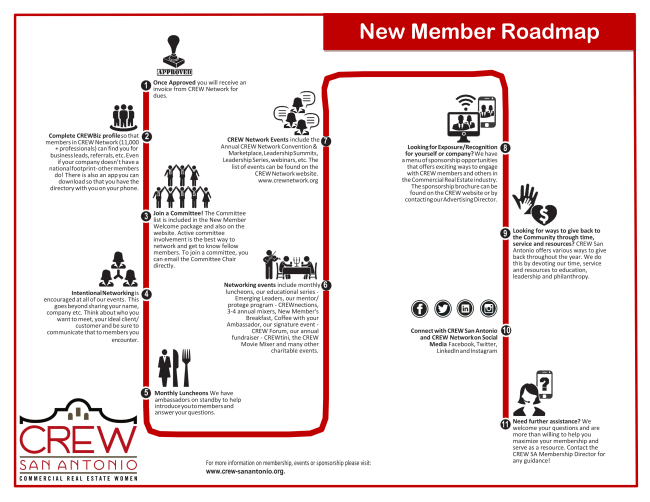 Check out our New Member Roadmap Here! 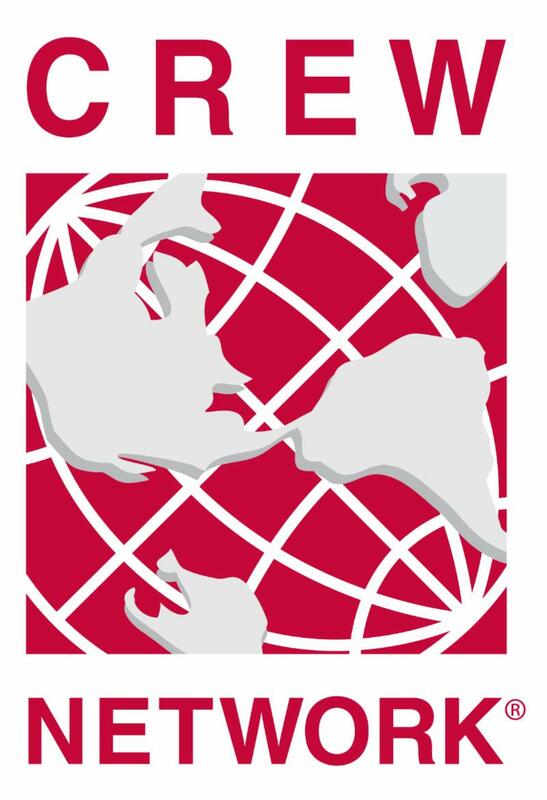 CREW Network Foundation is the only foundation dedicated solely to advancing women in commercial real estate. Our greatest industry impact is through our scholarship program, which supports female college students as they pursue university-level education that will lead to careers in commercial real estate. With the help of our donors, Scholarship Endowment Founders and scholarship program partners, we have awarded $860,000 to 126 female students in 32 states/provinces at 77 universities to date. 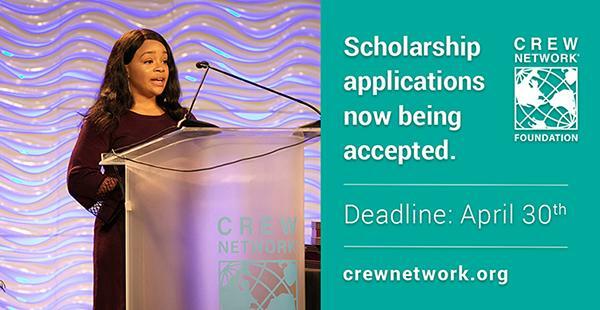 Nominations are now open for the 2019 CREW Network Impact Awards . The CREW Network Impact Awards recognize achievements of its members that are considered exceptional in the following categories: Member-to-Member Business, Entrepreneurial Spirit, Economic & Community Improvement, and Career Advancement for Women. These awards recognize CREW Network members for their professional achievements and work to support diversity and the advancement of women in the commercial real estate industry. 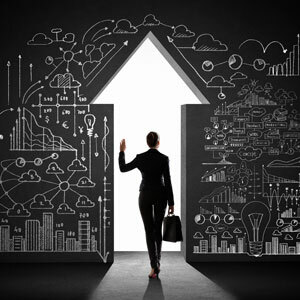 CREW Network Foundation is committed to bringing more women into the commercial real estate industry through scholarships, research and career opportunities. Please help CREW San Antonio reach our 50% membership participation goal! Any size donation is welcome and appreciated! Donate $20 or more and get a CREW Bling Pin! Donate $100 or more and you will be entered into a monthly drawing for a $100 gift card! The 31st Annual AIA/ASLA/ACME Scholarship Golf Classic is May 6, 2019 at Silverhorn Golf Club. Details HERE! Have you or another CREW member recently received a promotion, changed companies, won an award, completed a project? 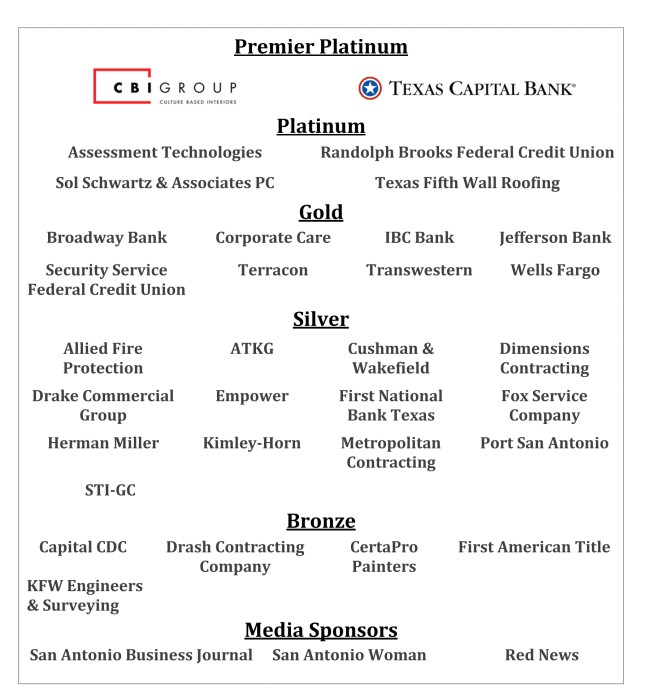 CREW San Antonio members are doing amazing things out there in the real estate industry and we want to know about it! Members on the Move & In the News-Share Here! Fall 2019 - CREWtini 2019 "Around the World"
Thank you to our 2019 One Ask Sponsors! Follow CREW SA for the latest news and event updates! 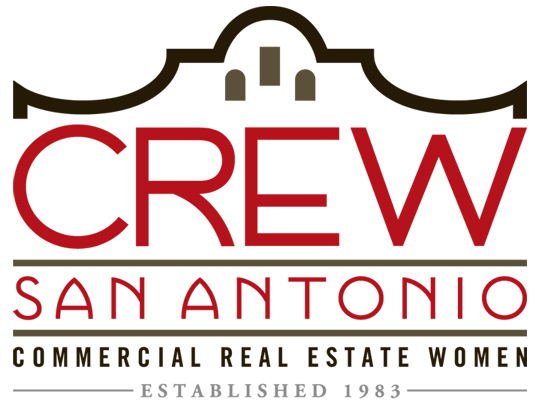 CREW San Antonio is an organization that promotes women who are professionals in the commercial real estate industry. Our purpose is to provide additional opportunities and advancement for our members through education, networking, recognition and leadership.